Irony update (10/5/2018): After Dell cancelled my 9575 order no less than four times, I will indeed be shamelessly buying a 9570 from a reseller (HIDEvolution). 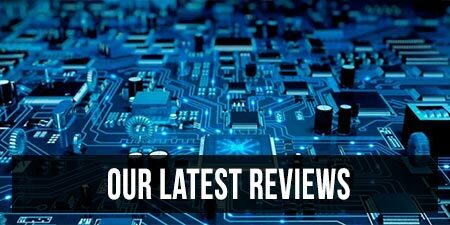 My full review of the XSP 9570 is available over here. It’s no secret that the XPS 15 9570 is the hottest laptop around (and I’m not just talking about VRM temperatures). The XPS 15 9550 was great. The 9560 was great. 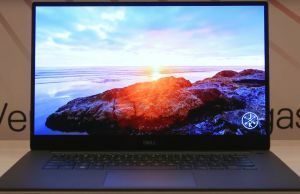 The XPS 9570 is so anticipated that Dell has capitalized on the hype by selling US$100 pre-order “gift cards” through its parent-company-owned company CashStar; these gift cards will supposedly grant the bearer the honor of receiving a phone call from Dell’s sales team to be notified of the laptop’s availability before the general public. The XPS 15 9570 will feature CPUs up to Intel’s new hexa-core Coffee Lake i9-8950HK and GPU options up to a Nvidia GTX 1050Ti. What’s not to like? Well, because I’m a negative-nancy and we tech journalists tend to ride the hype train a bit too much, let’s do something different and focus purely on the negatives of the XPS 15 9570. In my opinion, the XPS 15 9570 is very much a case of playing it too safe. 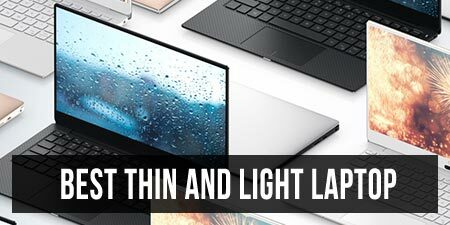 The XPS 15 9550 and 9560 are indistinguishable from each other on the outside. The 9570 is technically distinguishable, but only barely: The Dell logo is more subtly embossed and the webcam is centered at the bottom. Beyond that, you’d be hard-pressed finding anything Dell changed. 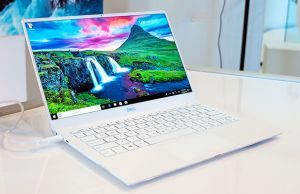 Even the XPS 13 9370 — which was criticized for playing it too safe from a design perspective — has a significantly different look to it and offers something more, i.e. Windows Hello support, smaller dimensions, new materials, and more Type-C ports (at the cost of SD and Type-A ports). The XPS 15 9570, however, didn’t even get the XPS 13 treatment. The XPS 13 9370 got an infrared camera, smaller dimensions, and a durable new spun-glass build. Of course, the internals are what matter, right? After all, the new XPS 15 will feature Intel’s latest 6-core CPUs and a GTX 1050Ti. Those upgrades come with a bit of an asterix, however: Analysis shows that the new -H series CPUs are indeed faster in multi-threaded workloads, but the performance gains in other workloads or gaming are negligible (we go so far as to say that such a CPU is wasted when paired with a 1050Ti). And this is assuming that Dell has put in the time to re-engineer the cooling system of the XPS 15 in order to properly feed the higher-TDP components; call me skeptical, but if the XPS series has taught me anything, it’s that Dell is painfully slow to fix their mistakes. Still, all the nay-saying aside, I can’t deny that the CPU and GPU are a step up from last year’s models… but so will nearly other every other competitor in this space soon enough. The ZenBook Pro and its ilk will certainly get the Coffee Lake-H treatment, while the Gigabyte Aero 15X and MSI GS65 not only already pack 6-core CPUs, but also far superior GPUs and high-refresh-rate displays. And speaking of displays, it would have been great to finally offer a 1080p touch display option so customers wouldn’t have to choose between touch and a huge hit to battery life — but that stayed the same, too. 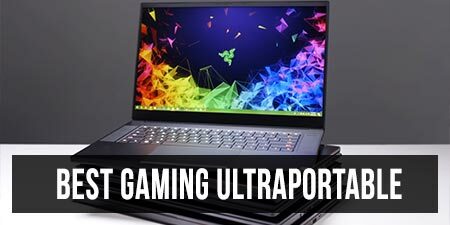 The Gigabyte Aero 15X one-ups the XPS 15 with a second NVMe SSD bay, GTX 1070 Max-Q, and 144Hz display. To keep its lead over the competition, the 9570 needed to step up its other components as well — but they didn’t. The 56 WHr battery should have been taken out to pasture by now alongside the 2.5” SATA III bay, but these still linger in the lower-end configurations. Instead of the 2.5” bay, I would have liked to see all SKUs sport the larger battery (after all, Coffee Lake-H is slightly more power-hungry than Kaby Lake-H). In lieu of a 2.5” bay, they could have added a second m.2 PCIe NVME bay like we get on the Gigabyte Aero 15X. The story is the same with the rest of the components: The webcam? Still 720p, still doesn’t support Windows Hello, and still a nose-cam. The Wi-Fi? Still Killer, and still a source of compatibility issues for many. The location of the webcam won’t matter to you until you suddenly have an important teleconference. Maybe it was the wait that Intel incurred on the XPS team, but I get the feeling that the XPS 15 9570 was very much an afterthought this year. I can say that during the press-only NDA reveal, the majority of the presentation was devoted to Alienware and the XPS 15 2-in-1 (9575). In fact, the XPS 15 9570 was not even pictured, only mentioned in passing. This was in sharp contrast to the majority of questions from the press, which focused on the 9570. Dell seems to have taken the approach of “if it ain’t broke, don’t fix it”, but the fact is that the XPS 15 was in need some fixing. Frank Azor and his team clearly put time in to the XPS 13 9370 and the XPS 15 2-in-1 9575, but the trade-off seems to have been that the plain old XPS 15 9570 didn’t get the overhaul it deserved. What do you think about the XPS 15 9570? Is it everything you hoped for? 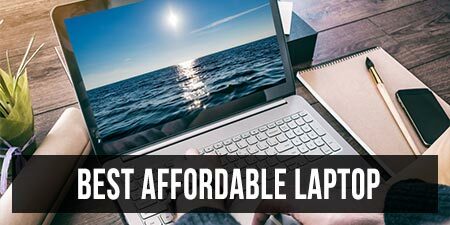 Will you be opting for the 9575 2-in-1 or perhaps a competitor’s laptop instead? Let us know in the comments! Next Story → Is the new XPS 15 9575 2-in-1 faster than the old XPS 15 9560? Yes, no, and maybe. Dell put a moderately capable gpu thats slowed down with high resolution screen, or a slower FHD and ghosting crappy matte screen with better battery. You cant win. They know this this is how they can keep selling newer models because the previous ones dont last long. The 9575 will end up being eclipsed by HP's upcoming Zbook Studio X360 because it does everything that the 9575 did not do. Legacy ports, camera at the top, FHD option, etc. Sure the Quadro GPU is slightly disappointing, but for my needs…it works. 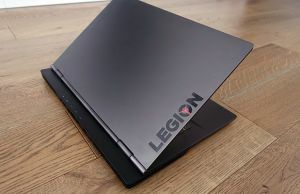 I'm eyeing a few other 15" 2 in 1s. I am a fan of the zbook studio series, but I feel like they are always around 1 year behind in terms of design. The cooling at least can be fixed once they are out of warranty (or before). Dell uses low-quality solid thermal material on their CPUs and GPUs. I think because it makes the units easier to assemble. Open them up, take off the heatsink, clean and (carefully) apply a small amount of Arctic Silver. My temps went down 5C. I've had good experiences in general with them and they have good custom computer builds hard to find on other places. I would always buy extra ram or ssds outside as is cheaper. A problem with the xps 9560 was that it was not able fully take advantage of a 1Gbps optical connection over the Type-C port. Was only able to achieve around 300Mbps (optical cable to cat6a to thunderbolt). Wonder if 9575 or 9575 does better? Aero 15x has a 10g ethernet port. 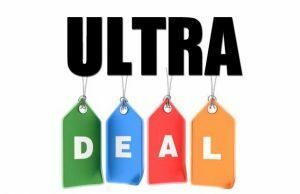 I just bought the new 9570 as the low-end 1050TI + 8750H is currently on sale for $1899 CAD and there is an additional $250 coupon. I can upgrade it after it arrives to 32GB and a 1TB SSD. That is a serious developer machine at a great price. The price of $1,649CAD ($1,899-$250)= $1,282.80USD… that's on par with the US– I just checked and the same base model costs $1,322.99 with free expedited delivery within the US, includes a $50 off coupon. I was able to purchase it during a cashback company's anniversary for 15% cashback and also during a sale at dell. There was a $50 coupon available at the time as well. I upped the ram to 16gb and SSD to 500gb. Total out of pocket with tax included was $1,282.56. 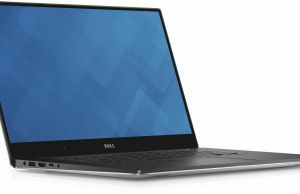 My XPS 9570 is about 18 days old and i'm in love with it…..my bluetooth beoplay h9 with this machine is driving me insane……the speed n the browsing experience is just awesome…..but then i've always been a dell user…but this is the most I've paid for anything….. I liked the line about Dell being slow to learn from its mistakes. I still have a Dell XPS m1330 of the dreaded GPU failure fame. It's nine years old and had three new motherboards in the first three months of ownership. I soon dispensed with it as a laptop and use it as a streaming source in the corner of my home office. It still gets hot but and little desktop fan does the trick to cool it down. I'm amazed it's still going. That said I've avoided Dell compact laptops since then, even though I'm well disposed to Dell in general. The exact same text as your article! read my comment on that youtube video……..
"Uneven back-lighting on both displays". I had XPS 15 9560 FHD. The moment I received it I noticed the uneven lighting (I own EIZO display so I know good one). People didn't understand what I am talking about so was the Dell technician. I returned it. I will wait for the next 15" mackbook pro, in my country XPS 9570 and mackbook are priced the same. It's not that I like Mac OS, but I love the screen aspect ratio and think all other laptos should use the same. To be honest, if Apple didn't go out of their way to make Windows terrible on MacBooks and they kept the Fn keys, I'd probably have kept the MBP 15. Same here.. They should purposely make the Windows experience worse. Because there is no reason to be that bad.. Same goes for touchbar nonsense.. If it supported Windows well, it would be an instant buy for me.. I would never look other laptops.. I must add, that also prevents me buying iMac as well..
dear then what laptop should i buy for video editing and graphics and with good thremal and not bad battery without touch screen not nessrey for me ? The lenovo Y730 seems to be a good option, though the battery is not extremely long (4-5 hours I believe). Good article, my current Dell 15 XPS (9570) only issues is the screen bleed which I can live with, but those other issues mentioned I do know about. When the 9560 came out I got one on loan for couple of months and was impressed, so later I purchase a 9360 that out the box had WiFi and screen flicker issues. The screen flicker got fixed with chipset driver update (as far as I know) but with the WiFi my only option was to get an Intel card. I ended up returning it. This one seems fine and more than capable for my coding and video editing needs.